S.W.A.T. 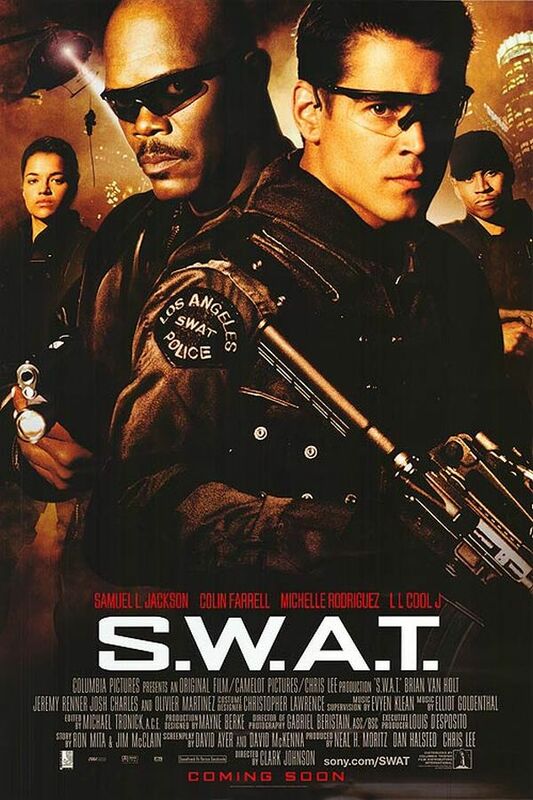 font here refers to the font used in the poster of S.W.A.T., which is a 2003 American action movie based on the 1975 television series of the same name, centering on the adventures of a Special Weapons And Tactics team operating in a California city. The font used for the movie title in the poster is probably Agency FB Bold, a square sans serif originally designed by Morris Fuller Benton in 1932. More information about Agency typeface can be found here. In addition to S.W.A.T., FB Agency typeface is also used in the following logos, movie posters or album covers etc., including: Not Fade Away, The 5th Wave, Going the Distance, Total Recall, Race to Nowhere, Hitman: Agent 47, Echelon Conspiracy, Train To Busan, Rogue Nation, Mad Max: Fury Road, Zero Dark Thirty, The Maze Runner, Warm Bodies, Syndicate, Bridge of Spies.